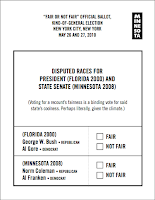 UMP | University of Minnesota Press Blog: Speak for yourself at BEA: Your vote counts! Still reeling from the results of the 2000 Bush/Gore presidential election recount? 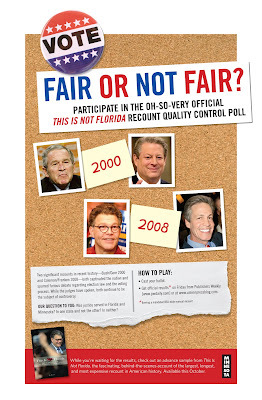 How about the 2008 Franken/Coleman recount? Whether you couldn't be happier with how things turned out or your anger is at the point of still-simmering, we want to hear from you. It's your chance to sound off! Voting takes place next week at BookExpo America in New York, at Booth #4153. We will be collecting ballots all day next Wednesday and Thursday (the 26th and 27th). Results will be tallied and posted next Friday at Publishers Weekly and on this blog. Unable to attend BEA? 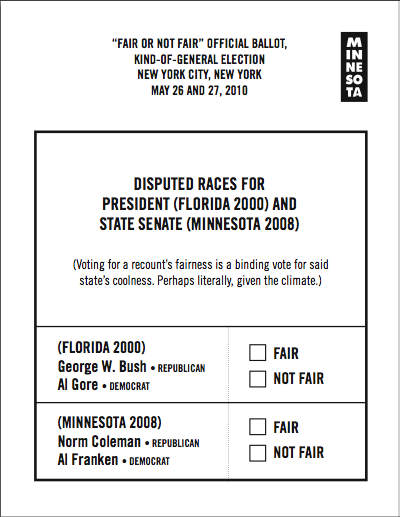 Simply e-mail your FAIR/NOT FAIR vote to sattl014@umn.edu, subject: Vote 2010. Be sure to indicate your votes for each recount. Send your vote by midnight EST on Friday, May 28th, and we'll include your vote in the final results tally. 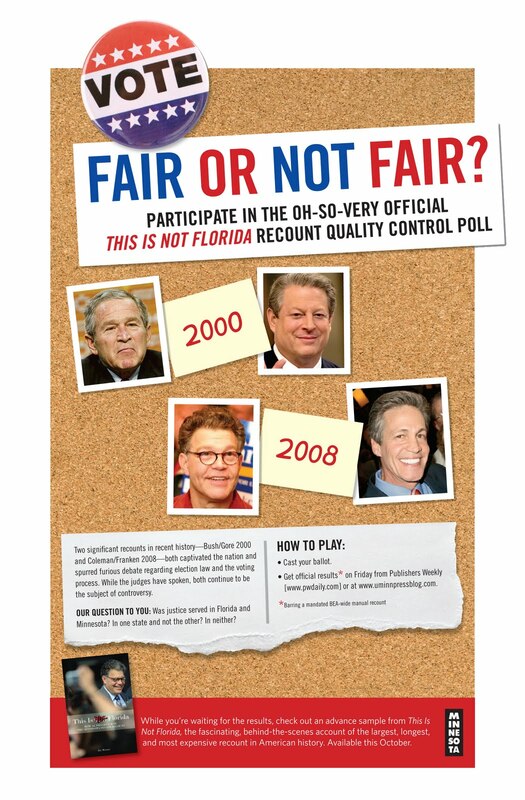 While you're waiting for results, check out This Is Not Florida, the fascinating behind-the-scenes account of the largest, longest, and most expensive recount in American history, available this October. We'll be handing out advance samples at BEA. Stuart Biegel's The Right to Be Out: Sexual Orientation and Gender Identity in America's Public Schools, a thorough, timely, and relevant resource that recognizes the right of LGBT students and educators to be out at school. Jon Savage's The England's Dreaming Tapes, which makes available for the first time the full, uncut, sensational story behind the cultural moment that was punk. Also the essential companion to the seminal history of punk, England's Dreaming.